Ron Pierotti’s first surgery for removal of the epidermoid brain tumor was in 1999. From that day forward, life changed as Ron knew it. For 10 long years, he suffered quietly as he went through a series of health changing events. His second surgery in 2009 for regrowth of this rare and benign brain tumor damaged his body as nothing else could. For months, Ron had surgery after surgery for the correction of problems that would spring up concerning deficits left from the surgery. After the 2009 surgery, swallowing problems made another surgery necessary. then with complications of leakage, shunting was done. It was endless series of health complications, one after another. He spent more time in the hospital than at home. It was a constant battle that seemed never ending. As complications continued he became physically disabled. Collateral damage besides the physical weakening of Ron’s body was the loss of income and home. 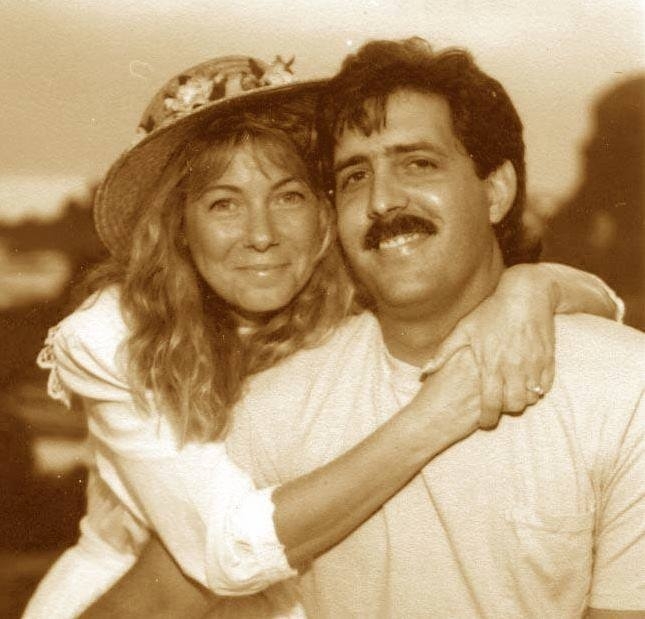 Ron with his wife, Joanna, had moved to northern California in order to live a quieter life away from the hustle and bustle of city life where they had lived for many years in southern California. After searching for years, they found what they had always dreamed of; their own wooded acres with room to spread out for the self-sufficiency they craved. It was here, that Ron was able to build them a small home among the most perfect of their acreage. Ron and his wife re-started his career in the design/creation of cabinets. As a very talented self-employed carpenter who could build most anything. He built Joanna, an artist, her own small one room studio and would even assist Joanna with framing her own artistic work. Life was good until Ron again started having medical issues relating again to the epidermoid brain tumor. Later, Joanna developed breast cancer and soon underwent treatment with surgery. radiation, and chemo. With the lack of a steady financial income the situation soon became dire. Sadly this eventually led to the loss of their home. Ron and Joanna’s need at this time was recognized by family members who reached out, and decisions were made to make the move to the area of Phoenix, Arizona. God must have had a plan with this. Never well, Ron became more so after this move and deteriorated rapidly. Thankfully, Phoenix, Arizona is the home of Barrow Neurological Institute, one of the leading medical centers for brain tumors and especially skull base brain tumors. After emergency treatment, Ron was diagnosed with shunt complications with the final diagnosis being hydrocephalus. Hydrocephalus is referred to as “water on the brain.” It is caused when excess cerebrospinal fluid, the fluid that insulates the brain from injury, builds up in the brain. Without treatment, it can lead to irreversible brain damage. Ron was re-shunted for hydrocephalus in 2011 at The Normal Pressure Hydrocephalus (NPH) Center a division of Barrow at St. Joseph’s Hospital and Medical Center. After this shunt surgery, the weakened state of his legs slowed him to where he finally stopped walking and used a wheel chair. A recent kidney infection led to a hospital stay at St. Joseph’s Hospital and Medical Center where Ron dropped down to a lightweight status of 122 lbs. Ron had become an invalid with not much going on but days in his chair. He accepted this change of pace, but this is far from how family and friends view him. He needed something else…a motivation. Recently, a new “ride” was secured for him, and it is a miraculous happening. Ron has a new method of “getting around” in the form of a scooter. Daily, he takes off for a ride to the market. Joanna remarks that he even makes excuses to go shop, and it has become a great joy for him to take off on his scooter. You might say this scooter and the freedom it now gives him . . . makes his day! 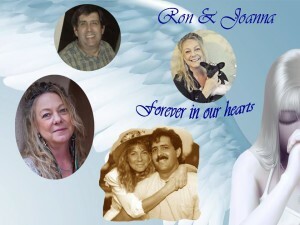 Note: Through out Ron’s diagnosis and surgeries, Joanna, has always been there for him as his loving caretaker. Joanna was diagnosed with breast cancer a few years earlier and was treated. She has been well until last year she became ill again and was told the cancer had metastasized in her body to the bone and the brain. Joanna started treatment again too late.